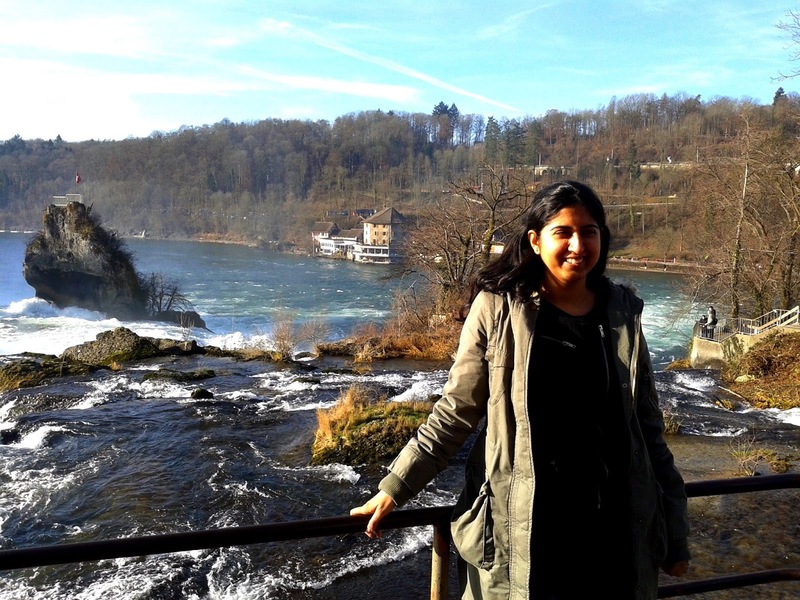 Rhine Falls, also known as Rheinfall is the largest waterfall of Europe (by volume). Reading a lot of positive reviews on the internet, and an exciting title "largest waterfall", I decided to add this to my itinerary of Europe. Indeed the amount of water that hits the rocks is huge and the kind of noise it makes reverberates in the atmosphere. I would say I was expecting something else, being a tourist to some of the best waterfalls in India. I assumed that since this is the largest fall, this would be comparable to the Niagara falls or atleast some of the popular waterfalls in India. I was a bit disappointed, but I guess I was expecting the wrong thing. These falls are not the highest, they are the largest by volume. 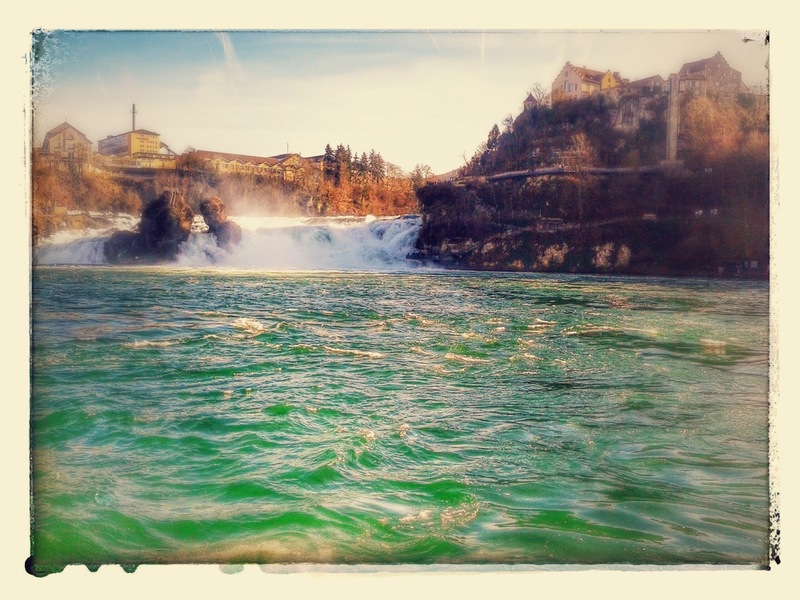 Nonetheless, the Rhine Falls did make an impression on my mind and I am glad I visited there. The local trains are very slow and takes too long to reach. Frequency of all trains is very good, but it took me around 3 hours to reach my destination via this route. I would advice going via Zurich as there is a direct train available and it takes only 1 hour from Zurich. After getting down at the Neuhausen Rheinfall, which is a small station, and there is a bus stop just outside. There are multiple bus stops numbered as 1 , 2, 3 etc. 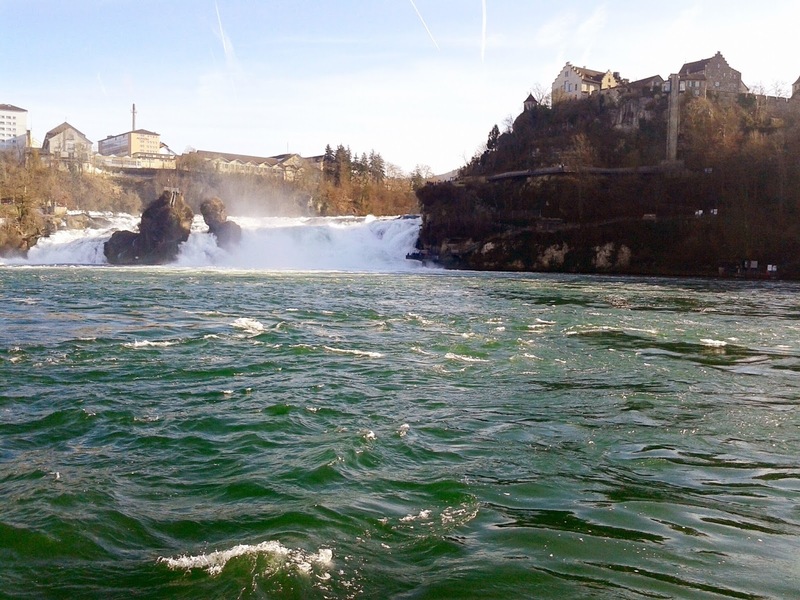 Ask someone that you would like to go to Rheinfalls and which bus to take and stand near that stop. Board the bus and pay the ticket to the driver. It is normally 1.2Euros but if you have a Euro pass, you are free to board any Switzerland bus or train or cruise without worrying about the ticket. The bus drops exactly at the Rhine Falls and the directions are written very clearly on how to proceed. The falls are located very low, so a lot of stairs need to be taken to reach there. When To Go: I have been there in the winters and I feel it is the perfect season. The water volume is very high, weather is chilly and cold breeze almost freezes your nerves. Apparently there is a boat ride that can be taken to get close to the falls, but it was closed due to high water level. What To Do: There are benches on the top view and the closer bottom view pavements of the Rhine falls. Sit on one of them which you feel gives you the best view, hear the thundering sound of water, feel the drizzle that touches your cheeks as the water gushes down, climb down the 100 odd stairs amongst the greenest trees, look at the blue green water and think about putting a poetic line to your credit. There are some eateries also on the right side so you can enjoy a snack by the bank of the Rhine river. 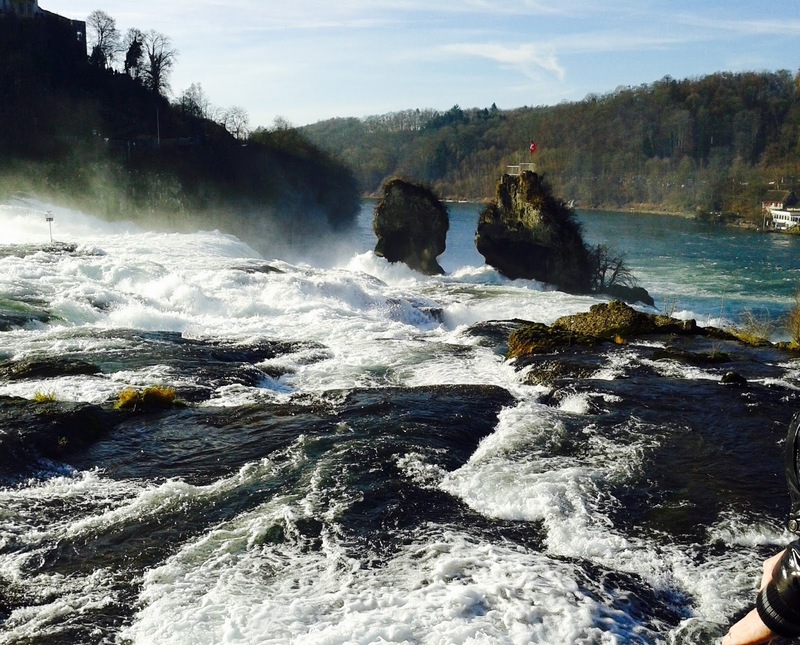 Please note - There are many stairs to the bottom of the Rhine falls, so it is not advisable for the elderly to travel there. These stairs are covered by lush greenery and low visibility due to trees and can be slippery sometimes, so need to be careful. 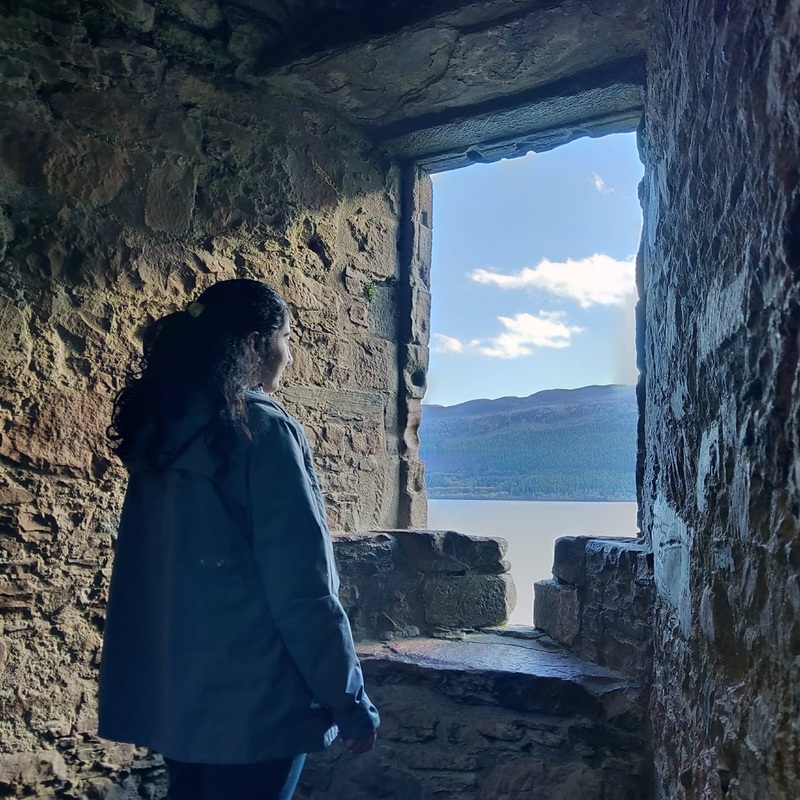 Unfortunately, I had forgotten to carry my camera on this trip, so managed to catch hold of some pictures using my Samsung Galaxy mobile phone (not very great). P.S: All photos are taken from my Samsung mobile phone. But your pictures still look great! Great shots with detailed write up.Thanks for sharing. Even with the phone csmera, the captures are great! Nice post and the pictures are great though its from your phone!